Disclaimer: This is *NOT* legal advice. If you are in trouble, seek help from your own qualified attorney. (1) “Automated Radar”, aka the “Copyright ID Tool”. New video uploads (AND existing videos on YT) are scanned by this radar to identify matches with the content associated with copyright owners. If a match is found, the radar applies the “rule” predetermined by the copyright owner, ie. “track/monetize” or “block”. This works similarly to email filters in your email account. – If the copyright owner had chosen “track / monetize”, the view page for your video would have the song name / artist “officially” imprinted somewhere near the view count. This also happens when you use an Audioswap track on your video. This means that though your video has infringed their copyright, the copyright owner “doesn’t mind” you using their content (for now), since they can earn revenue each time your video (a derivative work of their original content) is played. Your video will be viewable by the public, but in some cases, only in countries that the copyright owner authorizes the broadcast of its content. – If the copyright owner chose “block”, your video will not be viewable at all. Sometimes, the video is only blocked in some countries. (2) “Manual DMCA Notices”, which are legal takedown notices filed personally by an authorized agent of the copyright owner. When such a notice is filed against a video, YT is obliged to take down the video, and give a “strike” against the offending YT account. Too many strikes, and your account is terminated. This is much more “serious” than an “automated Content ID match”. I’m not certain if strikes are given to YT accounts which are identified by the *automated radar* to have too many videos with infringing content that is designated to be “blocked”. This is a possibility that one should NOT personally experiment with. Note: DO NOT try to “outsmart” the YT automated radar. It’s a really bad idea, especially if you value your YT account, & if you want peace of mind. – Fair Use: It helps to understand exactly what “fair use” means. if your video does not indeed fall under the legal definition of “fair use”. All Sims stories (written or film) are considered “fan fiction”. But the very nature of the Sims games gives its players complete liberty to have their own versions of what happens to any of the premade characters. So in that sense, simmers are luckier than their fan-fiction counterparts of other popular movies/shows/books. Fans of Sims 2/3 are even encouraged by the game makers to use the game engine to create and share their own sims’ tales, and that is facilitated by the in-game camera. 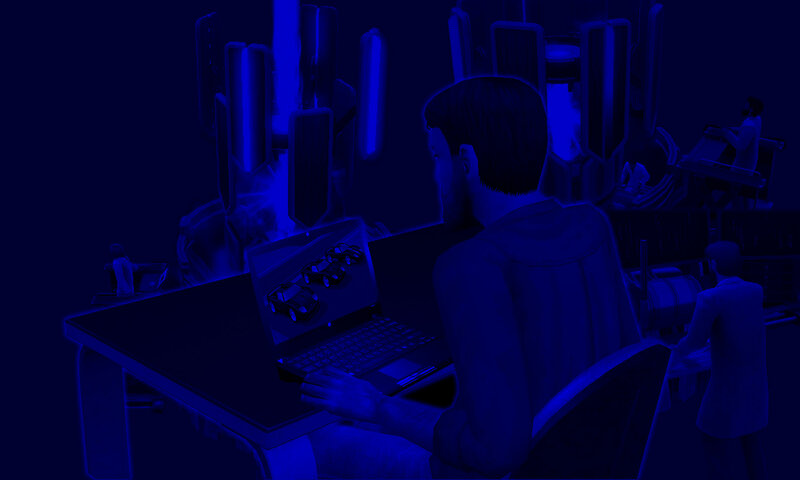 By implication, screenshots / video footage (edited or otherwise) of the Sims games can be broadcast freely, assuming that the fan does not attempt to make money from its broadcast. The main problem is the audio track that accompanies the final uploaded video, which often comes from a source that does not authorize its use. Popular songs from major record labels fall into this category. Before you use a song, it is a good idea to find out which companies own the rights. If it is a Big Four label: Sony (SME), Warner (WMG), Universal (UMG) or EMI, most of the time it will be identified by the radar, then monetized or blocked, depending on their policies. Sometimes, smaller music licensing companies may also monetize/block their content found in your videos. Bear in mind that if your audio track falls into the “monetize” category today, it is still possible for the copyright owner to change their mind in future, and your content may end up blocked. Also note that Audioswap tracks / YouTube Editor pre-approved audio tracks are not safe “forever”. The copyright owner is free to change their policies anytime, so you may still need to re-Audioswap your video in future. Your videos are at the mercy of their commercial decisions. Rather than bang my head over a newly-blocked video thousands of views later, I try to avoid using audio with a high chance of being identified as “monetize”. However, it is fair if the song owner simply wants ad revenue, and allows the video to be available and playable — there is a chance that some Creative Commons** artists may do this. 1. Tracks created in-house exclusively for the Sims games. These tend to be safe, since they are owned by the sims company itself, instead of a third-party who does not authorize it. 2. “Real-life songs” redubbed into Simlish. These are less safe because they are considered “derivative works” of the original songs. Some instrumental songs in Sims3 may also be owned by a third party. A general rule of thumb: If the ORIGINAL song is unauthorized by the copyright owner, ALL derivative versions of it (simlish, karaoke) are liable to the same treatment. Once again, this is *NOT* legal advice.